It is the entry level of this brand. It is a very simple and essential device, with no led on the front panel, while the switch on button is on the back. I suppose that the A1 was born to be left turned on because it does not get warm when on. 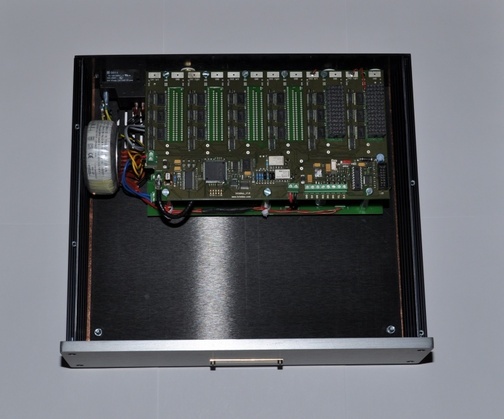 The internal converters are Totaldac home-built. As for the AC, besides the usual filtering devices, there is a toroidal transformer, very good as for dimension and performances. On the back side we find the IEC port, two connectors for the outputs and one connector for the input, a 75 Ohms coaxial. 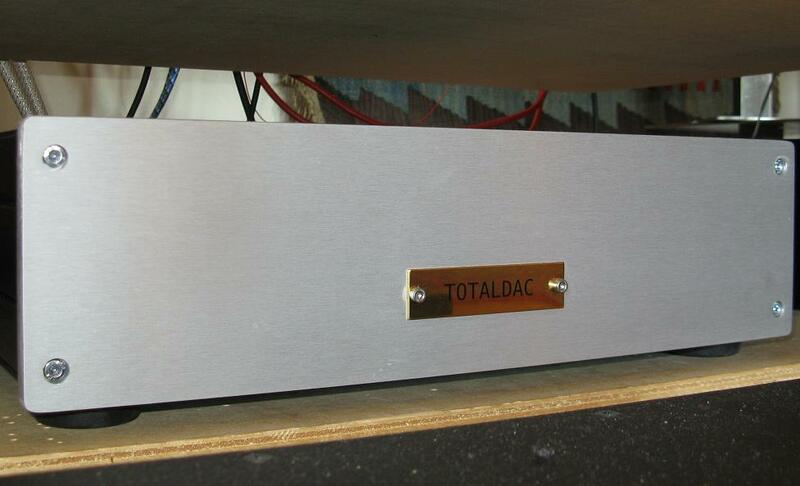 This DAC may give the idea of having been built to be used with a Red Book CD but it is not so. 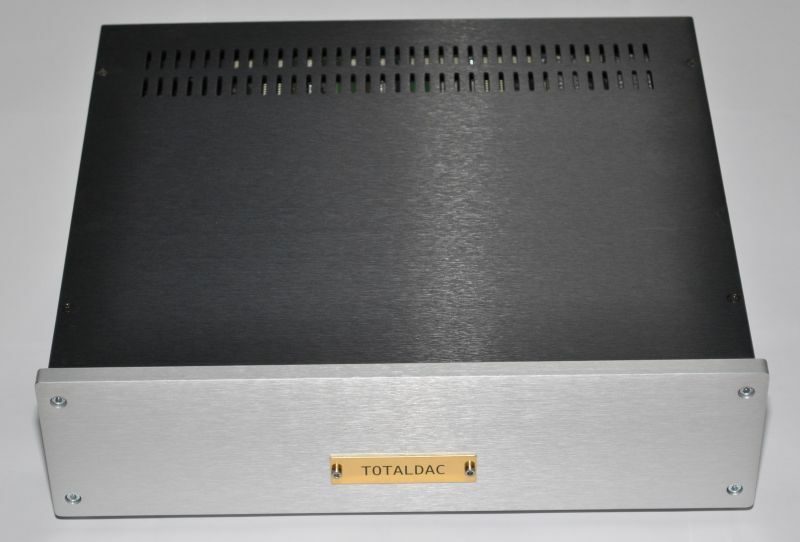 In fact, it was designed to be used with a Totaldac D1 server. Just a hint on its output level that is quite high at 3,3 V. The background noise is very low and music has a more quiet background, at the total advantage of the feeble sounds that are more easily heard. Bauer Audio DPS 2 turntable, Mørch DP6 tonearm, Lyra Kleos and Denon DL 103 cartridges, Pioneer PL 550 turntable with Ortofon MC 15 Super II cartridge, American Hybrid Technology –P e Lehmann Black Cube phono preamplifiers, Olimpia Audio Guglielmo II, Spectral DMC12 and Lavardin 62 preamplifiers, Spectral DMA50 and Wyred4Sound ST 250 power amplifiers, Audio Note AN-E SPx loudspeakers, Systems & Magic, Kimber Kable, Audio Note, YBA and other cables. I must report that, listening to this DAC, I have had a very peculiar and unique reaction. I have left it switched on for 24 hours and then I have put in the Cd player the first CD: Dimitri Shostakovic’s Fifth Symphony on Naxos, performed by Vassili Petrenko. As soon as it started I noticed a powerful but never static or slow low range. It was correct and natural. The high range was a bit indefinite. 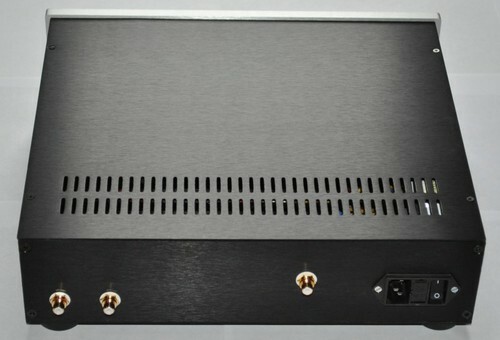 I kept on listening to music but not as reviewer, I was plunged into music and the DAC did not concerned me anymore. It was doing its job very well, I must say so well that it had become invisible, completely melted into music. This is not very “audiophile“, because many times when we listen we want to identify the lower and the upper range, we want to distinguish the mid-range from the lower mid-range. But, with this DAC, this is impossible, many parameters seem useless and all what matters is music, and you suddenly find yourself listening to music. 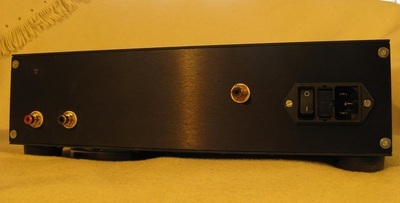 This is not the first DAC that I have had in my listening room, and it is neither a very expensive one. It is really hard to find flaws to this device. The dynamics? The more there is in the recording, the more this DAC seems to work in empathy. The frequency response? Maybe the acute is a bit recessed, but after a short while, listening to it you understand that it does not really matter. This time I found it more natural to play the role of a music lover than that of the audiophile reviewer! And this is what happened also to all the friends that dropped by, they have all enjoyed music and left all criticisms aside. Listening to the DAC I happened to forget a bit about my true love, the analog turntable. While the A1 DAC was connected to my system, I got my belated Xmas present: a Lyra Kleos cartridge. In a different situation I would have abandoned the digital to listen exclusively to this new cartridge; not this time, I have listened alternatively to analog and digital, one night analog, one night digital. The fact that it is so neutral makes you want to listen once again to all the recordings that you were convinced to know thoroughly. It is the case of Arvo Part’s Fratres, a recording I have listened to again and again; I have noticed now that the violins do not start off all together, but some musicians are late. I had noticed this also when I was in the Totaldac headquarter. This may not seem important to some of you, but all those that are concertgoers just like me know the importance of these details. The more details you can recognise, the more what you listen seems live music; and after all this concerns everyone since good recordings are a spur to listen to more music. I listen to Bach’s Mass in B Minor, performed by Minkoski and the Musiciens du Louvre. In this case the recording is good and the Totaldac has recreated in my room the whole orchestra, I could even hear the timpani recorded from afar - and that they are afar you understand it because of the different resonances that make them more muffled, if compared to the singers voices in the forefront. I switch to the same composition performed by Sigiswald Kuiijken and his Petite Bande. I here realize how right was the reviewer that wrote on “Diapason” about the beautiful timbre of the organ. That organ materializes between the loudspeakers. The voices are reproduced correctly because there are no hollows in that upper mid range were the voices find their right definition. Cecilia Bartoli in The Italian Songbook (Decca) is the proof for this. Her voice is well defined and real like and you can hear all her breaths in a very natural and never annoying way. And last but not least one of my great passions, the Vesper of the Blessed Virgin by Monteverdi directed by Gardiner on Archiv. The consistency of the voices is not changed by the Totaldac, all the sonorities are natural and also in this case is really hard to find flaws to this listening. Hairsplitting, one may say that the voices of the boys choir are not quite the same of those of a live performance, but also in this case the listening is so pleasant that you forget about the system and you just enjoy the music. Well, Vincent Brient really did what he has told me in the interview. 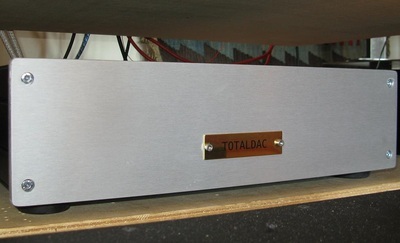 This DAC is a DAC for music and when in use it seems to disappear. The real limit for us Italians is that we can only listen to it at music shows or at the producer’s place ( this does not apply to Germans that can refer to Voxatif for a listening session, for an instance). But this is the producer’s choice, he prefers to deal directly with the customers, and after all, a short trip in Brittany is not so expensive, using one the many low cost airlines. Brittany is so beautiful, the food is so good, people are so polite and nice that it’s really worth a trip there.